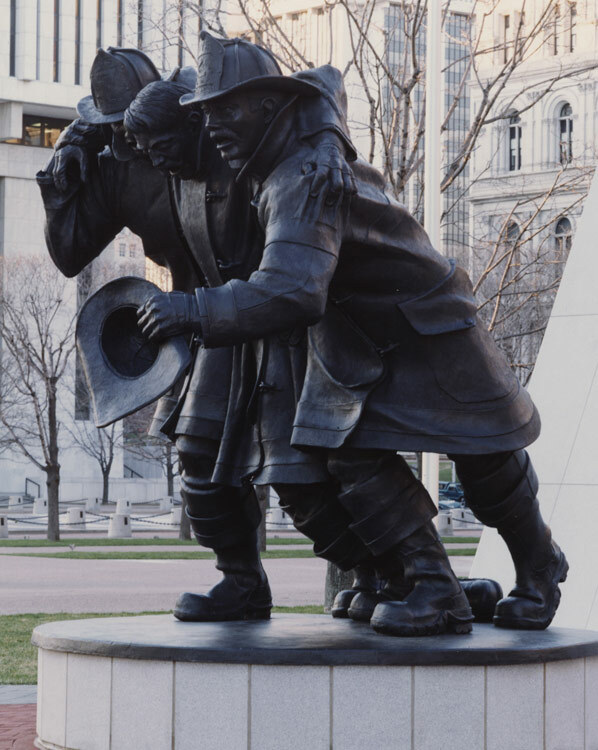 ﻿ Robert Eccleston sculptor of monumental firefighter memorials and civic monuments in bronze and stainless, steel. 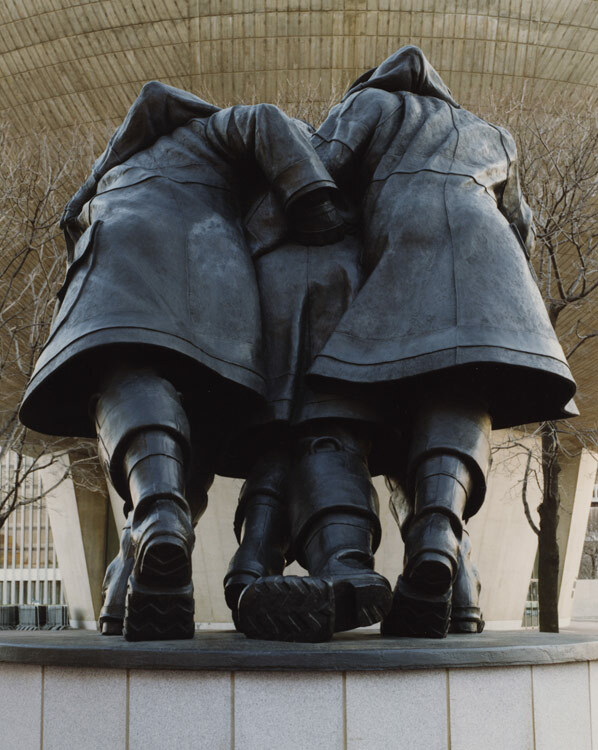 This monument to honor NYS fire service men and women who gave their lives in the line of duty. 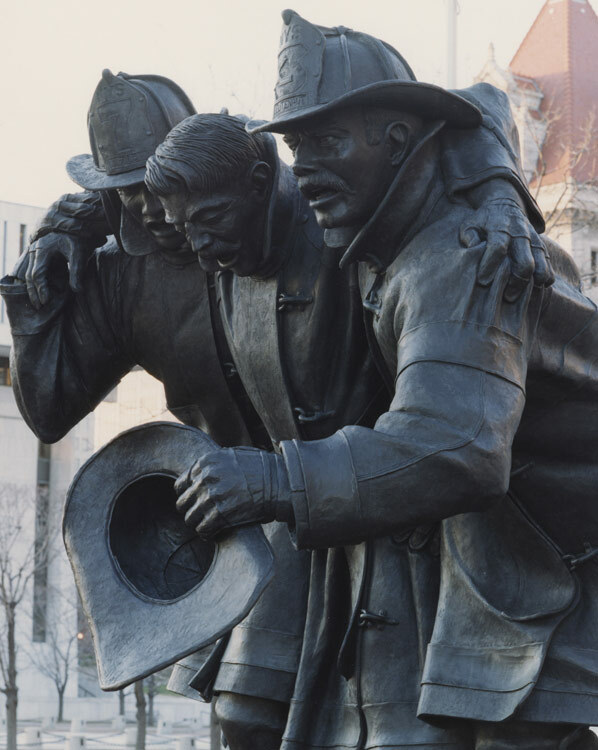 The sculpture depicts the bond, which exists among firefighters and there indomitable will to survive and the camaraderie needed to overcome adversity. A severely injured firefighter does not have the strength to escape a burning building on his own. He clings to his comrades. He tries mightily to walk but cannot; it is up to his buddies to drag him through the smoke and flames. 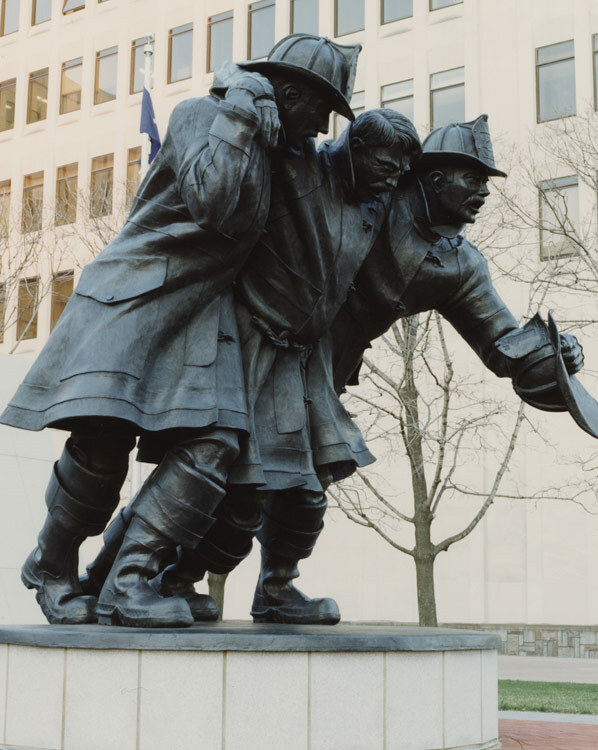 With little time to spare, the firefighter on the left takes the lead looking for the safest way out. 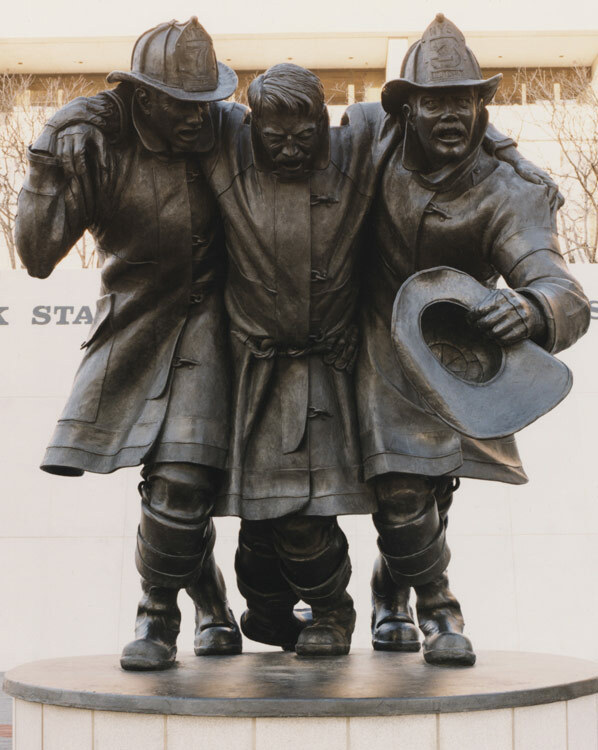 The firefighter on the right encourages his injured comrade, trying desperately to keep him from loosing consciousness.